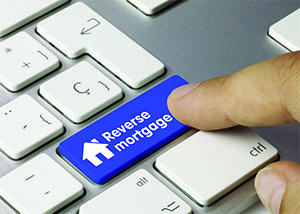 Ever wonder how does a reverse mortgage work? Throughout your life, expectations of retirement might include staying home all day watching movies or traveling to see cool sites or visiting with your family as long and as often as you’d like. The last thing you want is to get to retirement only to find that you need to keep a job in order to pay utilities and other expenses that come your way. Unfortunately, many people find themselves in this situation. If you want to have the financial flexibility to enjoy your retirement, doing a reverse mortgage on your home might be the perfect solution. Lets take a closer look on how does a reverse mortgage work. Simply put, a reverse mortgage is exactly what it sounds like. Instead of paying the bank each month for your home, the bank pays you each month for your home; it’s a mortgage in reverse. 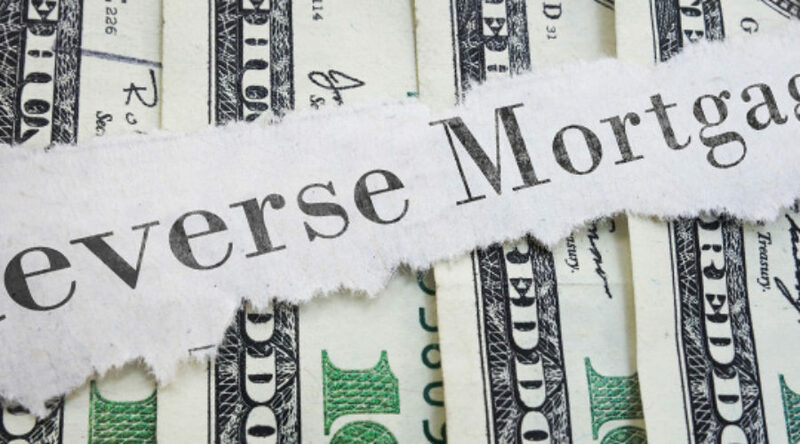 How a reverse mortgage works is that you convert the equity in your home to cash that you can use on any expense. In other words, if you’ve paid off your $250,000 home already, you can then borrow from what you’ve already paid. The bank will pay you in installments of your choice until you no longer live in the house. At that point, either the loan is paid back from the sale of the home or the bank then owns the house. Now let’s delve a little deeper into the fine reverse mortgage details. There isn’t just one reverse mortgage loan type out there. There are actually three different types, and while Home Equity Conversion Mortgages (HECM) are most commonly used by homeowners, it’s important to understand what the other two offer. A single purpose equity mortgage allows you to convert your equity into funds for one single purpose. Examples include home renovations, a utility bill, etc. This loan has a very low starting cost and does have some income restrictions. Because it is limited to only paying off one expense, it may not give you all the funds you need to truly enjoy your retirement. A proprietary reverse mortgage is usually tied to a private company. Although it has very few qualifications, it does require the highest fees, such as those for origination, credit reports, appraisals, and other closing costs. The HECM, as I said above, is meant to cover any needed expenses and is the most popular of the three types of reverse mortgages. These are insured by the Federal Housing Administration and afford far more reliability and less risk. This is the type of reversed mortgage that I’ll focus on. Actual costs will vary depending on what type of loan you choose and which lender you’re doing business with. For the most part, however, reverse mortgages come with a lot of fees, making them more expensive than traditional home loans in most cases. Taking a look at each fee independently, the HECM origination fee cannot be any higher than $6,000 and costs 2 percent of the home’s value. The cost of the mortgage insurance premium depends on how much you withdraw during the first year. So if you take out less initially, you pay less initially. The mortgage insurance premium costs 2.5 percent of the home value when you withdraw over 60 percent of what is available to you. However, if you take out 60 percent or less, that fee is cut to just 0.50 percent. An annual mortgage insurance premium is also charged, and unlike the initial premium, this one accrues over time and must be paid when the loan is due (when the owner no longer lives in the home). To get an appraisal on the home (determining its value) you must pay another fee, which usually comes out to $450 on average. Other closing costs usually add up to around $1,000, though this varies greatly depending on your loan and lender. Betty, 65, owns a home that is appraised at $250,000. With a PLF of .50, she can borrow $125,000 of that amount. She chooses to take out the money over the course of a term worked out between her and the lender. In other words, she gets paid $1,000 each month for 10 years. She lives quite comfortably with those added funds and gets the retirement she always dreamed of. After 10 years have passed, Betty decides to live with her only son, David, and at the end of those 10 years, Betty now owes $120,000 (the principal amount) on her home. Since she no longer lives in the home, she must sell the reverse mortgage home, and the funds go towards paying off that principal amount and the added interest rates and fees. Could you benefit from a reverse mortgage loan? Talk to your lender to see if a reverse mortgage would be right for you. Call (855) 667-9290 to speak with a Reverse Mortgage Lender.